Prior to working with the State he was the Deputy Director of Community Housing Services, an agency provided housing and landlord/tenant information for low income Colorado residents. He also worked for 9 years as the Program Coordinator of the day treatment program for people with chronic mental illness at the Arapahoe Mental Health Center. Chris is married, has three grown children and one grandchild. He enjoys hiking, playing racquet ball, woodworking and spending time with his family. Joan LaBelle is the Executive Director of Disabled Resource Services (DRS), one of nine Centers for Independent Living (CILs) in Colorado. DRS provides services to people with disabilities in Larimer and Jackson Counties. Joan has lived with her disability since the age of five. She credits her advocacy skills to her mother, who was an advocate extraordinaire… way before we knew what that was… okay, not way before. It was her mother that taught her to let nothing stand in the way of her dreams and to help others achieve their dreams. She has more than 35 years (both as a youth and an adult) within the disability movement. Joan has been involved with CILs across the country. In particular, she has focused on oversight and expansions of programs, which included ensuring quality assurance and meeting regulations for a CIL from a variety of funding sources. She has been active on SILCs across the country, serving on several committees. In Colorado she is active on SILC committees such as the SPIL Committee, the 501c3 Committee, and most recently, the Membership Committee. She has served on the Strategic Planning Committee and the Legislative Committee. 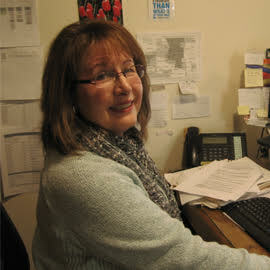 Nationally, Joan has served on the Board of Directors of the Association of Programs for Rural Independent Living. She has also served on a variety of committees for the National Council on Independent Living. Most recently she has been a reviewer for the Administration on Community Living. Steve Heidenreich was a world class athlete setting many running records with aspirations to make the 1976 United States Olympic team when he had a near fatal hit-and-run accident while training. Following the accident, the neurosurgeon gave him a five percent chance of surviving with little hope of ever recovering beyond a vegetative state. In spite of these poor odds, he earned a Master of Business Administration, Master of Science in Health Administration, and Master of Arts in Education specializing in Special Education. Currently Steve travels the country sharing his miraculous, inspirational story with future Olympians, college and high school students, athletes and businesses. He presents Yoga for Runners workshops and teaches yoga to traumatic brain injury and post-traumatic stress survivors. Steve is in his second term on SILC and currently serves on the Youth Committee, Chairs the Finance Committee, and Co-Chairs the Communications and Media Committee. In addition, Steve represents SILC on Colorado’s State Rehabilitation Council (SRC). Charlotte is passionate about making a positive difference in other’s lives. She received a Bachelor’s in Rehabilitation Counseling and Psychology from the University of Northern Colorado. 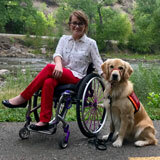 Her Master’s is in Counseling and Personnel Services from the University of Colorado at Denver. Professionally, she has been a counselor and educator for 35 years. Her career began at Red Rocks Community College in the Office of Disabilities Services. She also enjoyed employment in the Women’s Center, and as an instructional assistant in a remedial lab teaching English, Math, Spelling and pre-GED instruction. During this tenure, her biggest success was creating Empathy training for staff and faculty working with students with disabilities. She also created learning seminars such as: Learning Styles, Test Anxiety, and Test Taking Techniques. Stress management was another popular seminar she developed and taught. Her employment at Arapahoe Community College was as a Vocational Assessment Specialist helping students with learning disabilities create realistic career goals. 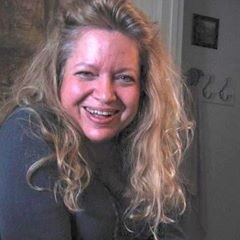 In 2005, she was hired at Connections for Independent Living as a coordinator of Multiple Sclerosis Services and also an Independent Living Specialist. This employment began her involvement in the independent living movement, an exciting change from the academic world. Another new beginning was teaching Psychology at Aims Junior College in Greeley. This was a big breakthrough as an adjunct faculty teaching in a classroom setting. It was very rewarding interacting and learning with the students. From 1985-1991, she was a member of the Colorado Developmental Disabilities Council’s (CDDC) planning group. She enjoyed this involvement and is grateful again for the exclusive appointment to another state board. She presently serves on the Public Policy and Executive Committees and Chairs the Membership Committee. Her special interests are: nature, music, sailing, and travel. For nearly 36 years, Nancy Jackson was Disabled Resource Services’ (DRS) executive director. Her experience at this Colorado Center for Independent Living taught her that equality, empowerment and civic engagement are civil rights people with disabilities require to live well in their communities, make informed decisions and live independent lives with dignity. Nancy is in her second 3-year term on the Statewide Independent Living Council and continues her passion to ensure that people with disabilities have a strong voice as self-advocates and leaders. Matthew earned a Bachelor of Science degree in Packaging Science and was a Certified Packaging Professional for 18 years. For the past eight (8) years he has been into providing services for the deaf/hard of hearing, and deaf/blind communities. Matthew looks forward to making improvements in all services for the deaf/hard of hearing/deaf-blind in Colorado. Jennifer is most fulfilled when helping people to grow professionally. 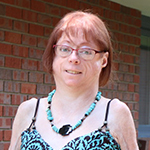 Having worked in a full variety of roles in the disability employment field since 1996, she has the vision and ability to nurture relationships with both individuals, community partners and employers to lead to long term success.Jennifer is proud to work for CO DVR where she has been employed since 2000. 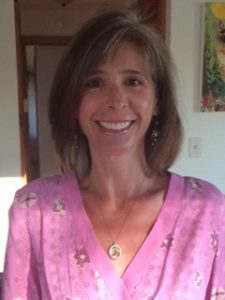 Over the past years, she worked as a counselor in the Steamboat and surrounding mountain areas, a Supervisor for the Mountain District, and a Regional Manager. She currently manages the Self-Employment, Supported Employment and the Business Outreach Programs for DVR. She serves on the SILC and the Rural Consortium Workforce Boards. She is lucky enough to live in Steamboat Springs with her husband and dog, thoroughly enjoying this mountain environment with regular hiking, camping, paddle boarding and anything else that the day may bring. A Colorado native, Olivia is currently pursuing her degrees in Chemical and Biological Engineering at CU Boulder. During her tenure on the SILC, Olivia hopes to advocate for and develop meaningful public policy and contribute to the Statewide Plan for Independent Living (SPIL). In her spare time, Olivia enjoys reading, writing, and hiking with her service dog, VSEPR (‘Vesper’). James Triplett is known as Joe. 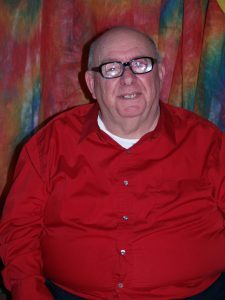 Before moving to Colorado, Joe served on the Statewide Independent Living Council (SILC) in Oklahoma for two (2), three-year terms; he learned a lot from this experience. He learned about independent living (IL) and Oklahoma’s specific needs. While in Oklahoma he also served as the State President on the National Federation of the Blind for three (3) years and as First Vice-President for ten (10) years. Currently he is on the Governor’s Colorado Advisory Council (CAC) with people with disabilities. 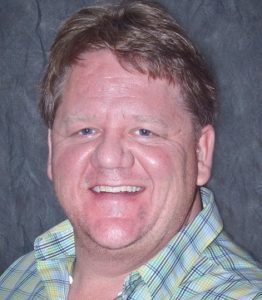 He Co-Chairs the Council and serves on the ADA, Executive, and Parking Education Committees. Joe joined Colorado SILC in 2015, and is starting his second term this fall. He is currently serving on the Strategic Planning, Retreat, and Membership Committees. He believes strongly in all five (5) core services that ILs provide including advocacy and transitioning people out of nursing homes. He looks forward to learning much more during his tenure on CO SILC. Joe is committed to actively participating on the Council and making a difference in the lives of individuals with disabilities. 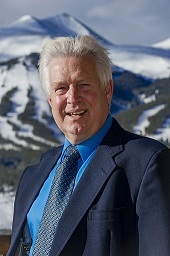 Bill Wood moved to Colorado in the fall of 2015, after living in Alaska for over 40 years. 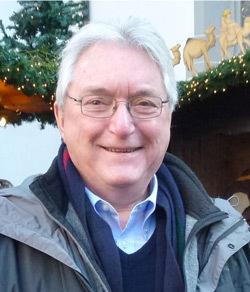 While in Alaska, Bill owned a management consultant firm that provided human resource, strategic planning, and organizational development consulting and training services to clients throughout Alaska & the Pacific Northwest. Many of his clients were organizations that provided services to people with disabilities.Following a 2001 automobile accident, Bill had to close his consulting practice. Shortly thereafter he was hired as Director of Human Resources by Access Alaska, a very large Center for Independent Living based in Anchorage.“Although I had relatives with various disabilities, and a mom who for years worked with children who had developmental disabilities, until my accident I never really knew or understood the emotional, physical, and mental challenges people with disabilities had to deal with. Now I both know AND understand we must individually and collectively find the courage, patience, and commitment to deal with personal and political prejudice while trying to handle basic activities of daily living.” Bill is currently the SILC Chairman of the Youth Committee. He and his wife Kathy live in New Castle. Collaboratively partner with the Centers for Independent Living and Colorado SILC to build capacities.